Tampons – bring a good supply even if you do not expect to need them. You DO NOT want to be surprised on course. Try to find a brand without plastic applicators or that are bio-degradable. Menstrual cramp medication recommended if you normally need it. 1 Pair gaiters, medium height – Gaiters are a valuable piece of equipment that help to keep water, mud, and other debris out of your hiking boots. 1 Pair UVA/UVB protection sunglasses - polarized lenses are best on the water. 2 Nalgenes or other wide-mouth water bottles - 1L each, the lid should be attached to the bottle so you can use a carabineer to hook it onto your backpack. 1 Camelback (just the plastic bag and hose, backpack not necessary.) *Very helpful on long hikes. 1 Personal journal, paper, envelopes, and pens – we gladly provide postage for postcards home! Your toiletry kit should include toothbrush, toothpaste, biodegradable soap, biodegradable shampoo/conditioner, foot powder, deodorant (unscented), antibacterial hand sanitizer, brush or comb, etc. An excellent multi-purpose, all-in-one shampoo/soap/toothpaste/etc. are Dr. Bronner’s products. NOTE: Instructors carry complete First Aid kits on all courses, so you only need to bring medications that are specific to your needs. If you are taking prescription medicines or have glasses/contacts, bring backup supplies (up to twice the normal amount – in case of loss/emergency). YOU DO NOT NEED TO BRING YOUR OWN BOARD! CRROBS provides all of the equipment necessary for the surfing sections of your course. It is not a good idea to buy a board if you are a new surfer just for your course! Ensure that it is carefully packaged for transport- if you need suggestions for this, ask! Be sure to bring all necessary parts: fins, bolts leash, bag, etc. and necessary tools specific to your board. CRROBS provides surf wax. We take this very seriously! Violations are grounds for expulsion from course. If you have questions, please ask us enrollment@crrobs.org. This is a list of what our instructors deem as fundamental gear for your course. Feel free to bring items that are not on this list, but please keep in mind that you will be responsible for your personal belongings. Do not bring more than you think you will be able to carry! Prior to leaving our base, instructors lead students through a process we call the “Duffle Shuffle.” During this process you will be issued the necessary equipment for whichever phase of your course (rafting, surfing, etc.) that you are about to embark on. At this time, instructors will advise you as to which of your personal items you will not need or cannot take on course. Any such items will be locked in our storage facility on base and returned to you at the end of your course. When packing, please keep in mind that rain, mud, and harsh weather conditions are possible. Good equipment can protect your body from these elements and really make a difference in your comfort level. store (REI, EMS, etc.) for their store brand of jacket. 1 Pair non-Velcro sandals with ankle straps OR neoprene SCUBA/surfing shoes with a rubber sole. This is to protect your feet during the rafting day. We recommend Chacos, Keens or Tevas. Crocs are not recommended. stuff, but for days at the beach you will want your own smaller bag. Instructors carry complete First Aid kits on all courses, so you only need to bring medications that are specific to your needs. If you are taking prescription medicines or have glasses/contacts, bring backup supplies (up to twice the normal amount – in case of loss/emergency). 3mm spring suit (shorty wetsuit) – Unless you get cold VERY easily, this is not necessary. as a souvenir, but this will not be available until the end of the course. CRROBS provides all of the equipment necessary for the surfing sections of your course. YOU DO NOT NEED TO BRING YOUR OWN BOARD! It is not a good idea to buy a board if you are a new surfer just for your course! Ensure that it is carefully packaged for transport- if you need suggestions for this, ask! Be sure to bring all necessary parts: fins, bolts, leash, bag, etc. and necessary tools specific to your board. Now the CRROBS Instructors are the students! So while all the summer course students return home, with awesome tans, to share photos and stories of their adventures in Costa Rica, and fall students start enthusiastically packing for their upcoming semester and adult courses, CRROBS instructors are not so lucky. They are spending 9 straight days, from August 18-26, getting their Wilderness First Responder (WFR) and Emergency Response Certifications (ERC), here at Base. Wilderness First Responder, also known as the WFR, is a certification combining the Emergency Response Certification (ERC) with additional hours of curriculum and practical tests in a wilderness setting. The ERC (a 48-hour DOT course certification) is required for police, athletic trainers and firemen in the USA, and it is administered by the American Red Cross (ARC). Due to the remote nature of our courses, our lead field staff are required to have successfully completed the entire WFR and ERC course, every 3 years, as per ARC standards. At CRROBS, this course lasts nine days-- filled with in-class instruction; case studies; patient care stations; skills assessment; and most importantly, “practical” scenarios and drills. For a complete break-down of the curriculum, please visit this link. However, this year, we added a few more classes, to the traditional WFR/ERC certification curriculum, to better address our students’ needs and well-being. 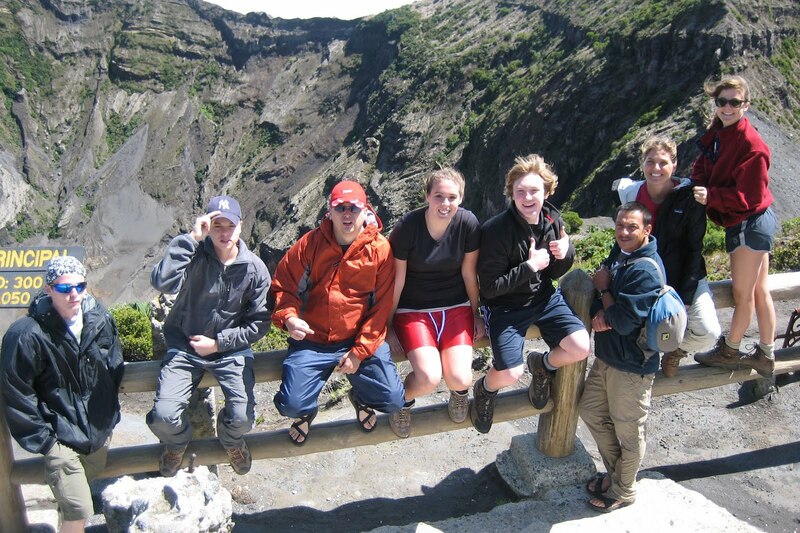 For example, one of Costa Rica Outward Bound’s core values is social and environmental responsibility. Therefore, All CRROBS instructors attended a lecture, by environmental educator and activist, Federico Solorzano, of Planet Conservation (more about this coming soon!) about to be more eco-sensitive on course, at home and at work. We also invited Dr. Steven Kogel Hughes, who has been practicing Psychiatry and addiction medicine since 1982, and is the current resident Psychiatrist at Tropical Oasis, to educate all CRROBS staff on mental health issues, diseases, and both natural and pharmaceutical treatments from everything from Attention Deficiency Disorder to Depression to substance abuse issues. These two new classes seek to better prepare all our staff for the general well-being of staff, students and the environment. We get constant requests to share our Facebook and Flickr photos with parents, Alumni, as well as their friends and family. In order to access our Facebook photos, you need to send an “add as a friend” request to “Bandido” (the CRROBS "official" profile on FaceBook) and then, send a message to “Bandido” requesting photos from your course, complete with course name and date. And then, we will gladly share all requested photo albums with you! 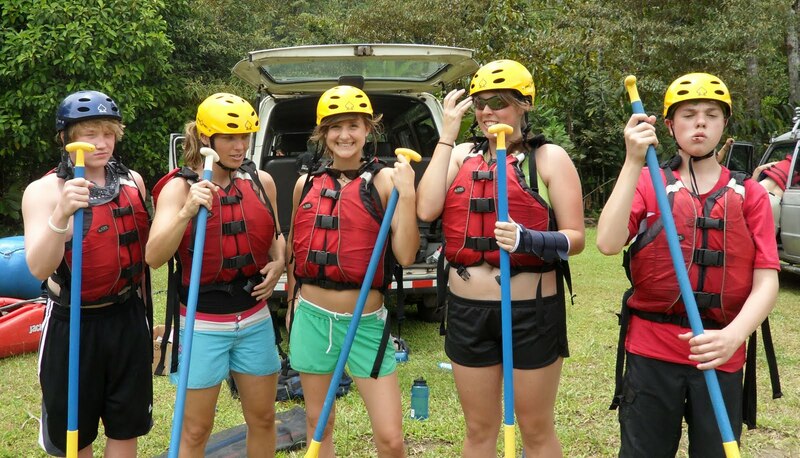 Kelly crashes 3 different Costa Rica Outward Bound Courses in Panama! 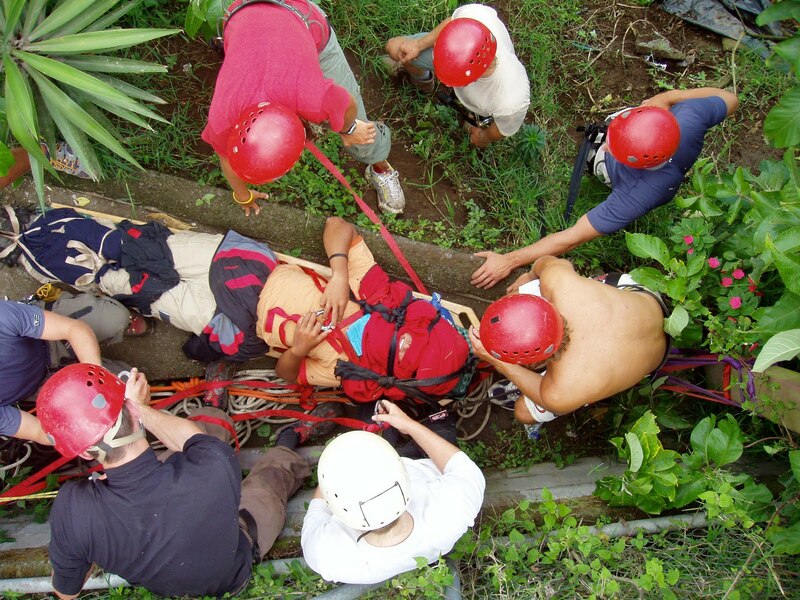 Since I have only been working as “Social Media Guru and Marketing Coordinator” at Costa Rica Outward Bound for just over a month, executive management thought it would be a “good idea” to send me out on an actual CRROBS course, so I could really “experience” what our experiential courses are all about. Therefore, they sent me off at 4 AM (Yes! 4 in the morning! ), in a mini-van for a 6 hour drive to Panama, with both the 30 Day Multi-Element (with Spanish Emphasis) #2 and Volcano Exploration & Panama Adventure #2 courses-- along with Santiago, Ana Marie and Angie—the CRROBS instructors. Photo 1: After crossing the border from Costa Rica to Panama on foot, across a squirrelly bridge, this photo is of both groups waiting for our motor boat taxi to take us to the island of Soltare 1, which is just across from the main island of Bocas del Toro. Photo 4: This is the boat we all used to go out on SCUBA dives together; knee-boarding; wakeboarding (NOTE: I apparently have no talent for this sport, unlike Fraser, Nick and Sean who deceptively made it look easy)—we also used this boat as our taxi back and forth to the main island for SCUBA tank refills and more pineapples. Photos 5 -10: When we were not SCUBA diving (Catherine was my diving buddy, by the way), wakeboarding, playing volleyball, doing yoga, or eating, we were all studying! Both Justin and Catherine from the Volcano Exploration & Panama Adventure Course #2 have waterproof cameras and they took several photos that we hope to share when they get the photos developed— HINT: There will be photos of a shipwreck dive and some of us doing yoga at about 20 feet under! Photo 11: This is a photo of myself (in sarong) and CRROBS instructors Angie and Ana Marie celebrating the fact that we can take a shower. YAHOO! You have no idea what a luxury this is! NOTE: Since all the island’s water comes from a rain catchment system, the entire island community has to carefully ration its daily water supply… we only got about 45 min per day of running water and literally, everyone dropped what they were doing the second we heard water flow to bathe. Photo 12: Ana and Angie doing yoga at sunset. I could not get a photo of the students doing yoga with me because I was the yoga instructor (sorry!) But the students really enjoyed it and asked for a session every evening. Photos 13-15: These photos show all of us preparing for our epic sea kayak expedition from the island of Solarte 1 to the remote island of Isla Cristobal, as part of our community service project to deliver some food and supplies to the friendly indigenous community of Valle Escondido. The entire kayak trip we sang songs, made up songs, had water fights, stopped for a swim, and tried to spot dolphins and manta rays. We camped one night in Valle Escondido, sleeping on our mats in the open-air village community center. We could only pack pj’s, bed mat and sheets, culinary set, and toiletries each kayak, because we had to save room for the food and supplies for the community. Personally, after a day of kayaking across the ocean, I slept like a rock that night—however, others commented on the rooster who started crowing as early as 3 AM and the sound of the neighbor’s pig. I am sorry I do not have any photos of this, but I did not want to risk losing my camera in the ocean while en route! The next day, we set out early, (yes, on kayaks) to the other side of the island to do the second part of our community service project, which was to work with Operation Safe Drinking Water, which is a registered 501c3 nonprofit organization, which builds water systems for schools in indigenous communities on remote islands off the coast of Panama. I trust the gang will have tons of photos of their beautiful headquarters and the work they did there. I ended up leaving 30 Day Multi-Element (with Spanish Emphasis) #2 and Volcano Exploration & Panama Adventure #2 at this point and returned to Solarte 1 to have dinner with the Girl Scouts Underwater Explorers #3. I got to SCUBA dive with the Girl Scouts the following morning and was delighted to discover that there is a “Chica Scout” who shares my same name: “Kelly Nicole”! We had a blast in the water and expect some super-cool underwater photos from Ale in the near future. Sadly, I had to return back to Base late on Saturday, but I promise you everyone is having fun, having moments of doubt and then surprise at what they can do…lots and lots of singing, laughter and yes, lots of bug bites too. 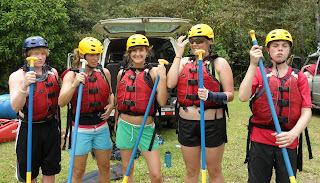 This is Kelly N Patterson reporting from Costa Rica Outward Bound Base in San Jose, Costa Rica. Do you know that feeling when you hop off a plane and you look around and nothing is familiar? Do you know that feeling when you see a crowd of new faces, but you don’t know anyone? Or how about the feeling you get when you see someone greeting a relative and you feel sick because you don’t know anyone. This is probably the natural reaction when arriving in a foreign country, and you don’t know a single person from that area. I was on one of the last flights that came into Costa Rica on June 29th 2010. And little to my knowledge there were five other people that were on my flight heading to the exact same place that I was. I have been on another Outward Bound course, in Utah. So I thought I would have it easy, that I wouldn’t have to work quite as hard as the others. Little did I know Costa Rica Outward Bound is a bit different than the Outward Bound’s in the States. I am not the type of person that organizes and Facebook’s my fellow campers, so when I got to camp I was revealed the shocking information that I was in a group of only five people. The first few hours upon meeting my new group did not go so well. Personalities clashed and for lack of better words we did not get along. But our little “problems” were not enough to stop our counselors from waking us up at five thirty and having us pack our stuff for our first part of our course. Into a van we piled for the long drive. But, when we reached the top of the mountain the view that seeped into our brains was well worth the long car ride. I have never seen such a beautiful place. It was enough to set all our problems aside and just BE. Soon afterwards we began our decent into the cloudforest. The first night we stayed in a school house in a small remote village. During this time, we all made a deal to put our problems aside. The eight of us began to have to the time of our lives. The next day we left for the jungle. One of our group members became sick, which was unfortunate because as soon as the group began to bond, she had to leave. Into the jungle we went, it was wet, muddy and cold. I swear, it seemed the day would never end. I fell more times than I can remember. But one of my most memorable falls happened on the first day. I don’t remember what happened, or how it happened but one wrong placement of my foot sent me toppling over. Head first I fell down into a ditch. A ditch is an understatement, a muddy slimy stream filled with gross water. I did NOT want to get my hair wet. Somehow, I caught myself and ended up in a “v” shape up-side-down. At the moment, I was not happy. I was grossed out and upset that I had just fallen so hard. But as soon as I looked up, I began to laugh. I laughed, until I cried. I laughed, and loved the situation we were in. The jungle hike lasted for three days. And as each day drew longer and longer, we became closer and closer. The seven of us became the best of friends. We laughed and made the hike that we once thought as such a horrible situation one of the best experiences of our lives. We laughed and pushed ourselves through the different obstacles that were thrown at us from every direction. Even though all we wanted to do was to make it out, I can promise you now if you ask any one of us four campers we would all do it again. I chose to come here; I willingly came because I wanted to push myself. I wanted to be stronger mentally, and physically. I wanted to meet new, amazing people. I came in search of a story, in search of a life lesson. I can promise you now, that coming here and living with five other campers, all with very different personalities is no cinch. You have to be in charge of the groups dynamic. You are the person who decides if you are going to have a good time, or be miserable. I feel like I was very blessed with my group. That even though we started off rough, I made some of the best friends I could ever ask for. Did I push myself? Yes! Of course I did. Every day was a new experience and a fresh start. Did I become stronger? Yes! No matter how hard it got, I always just told myself “you can do this!” Was it easy? No, not at all, it has to be you who pushes yourself. If you don’t want a challenge, and you don’t go searching for one, you won’t get one. That is what I love about Outward Bound. They don’t force you to change your life. They don’t tell you, we expect you to be a better person after this trip. They leave it up to you, and because of that people do change. They do become better. And they do have an experience to carry with them for the rest of their lives.